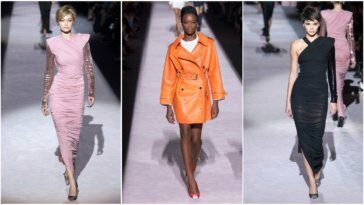 Clad in a glorious red Zac Posen dress that reminded us of the dancing woman emoji (this: 💃🏾), Laverne Cox practically shut down the runway at New York Fashion Week last night as she closed the show for luxury brand, 11 Honore. Strutting like she was born to do this, and adding intermittent twirls, and a lot of sass, the transgender actress showed us how it’s done as she led a lineup of models for the final walk. Previous article Hollywood Actress, Jennifer Lawrence Is Engaged! Hollywood Actress, Jennifer Lawrence Is Engaged!